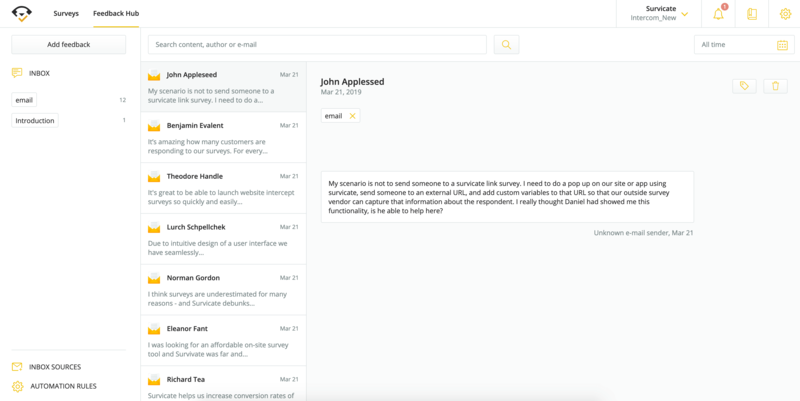 Email source enables you to pass messages from your inbox directly to your Feedback Hub. We will automatically pass the whole conversation in separated messages, so you could see the whole context feedback was given in. 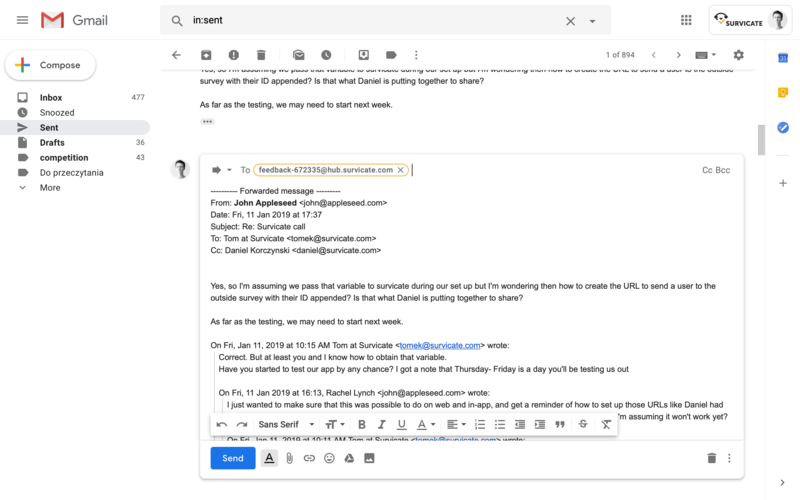 How to enable Email source? Go to Feedback Hub sources and choose Email inbox as your provider. Then click Connect in the top-right corner of Email inbox page. When you authorize integration, you should see email address generated for you.